DTOX™ is a natural formula that combines Vitamin C and Cysteine with super antioxidants Vitamin B1 and R-Lipoic Acid. Contains 60 capsules. 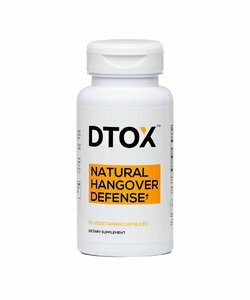 DTOX™ is a natural formula that combines Vitamin C and Cysteine with Vitamin B1 and R-Lipoic Acid. 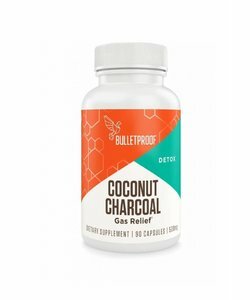 It is designed to counteract the negative symptoms of alcohol. In the body, alcohol is first metabolised to (toxic) Acetaldehyde and then to (nontoxic) Acetate. The body uses valuable vitamins and minerals to break down Acetaldehyde. And since alcohol increases the production of urine, key nutrients quickly get depleted. 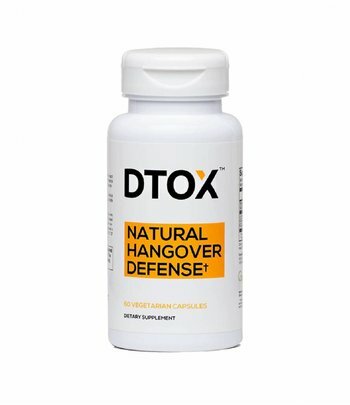 DTOX™ features Quali®-C non-GMO ascorbic acid. Quali®-C is a registered trademark of DSM. L-Cysteine allows the liver-protecting glutathione to be produced. The acetylated form of L-Cysteine is the direct precursor to glutathione synthesis. 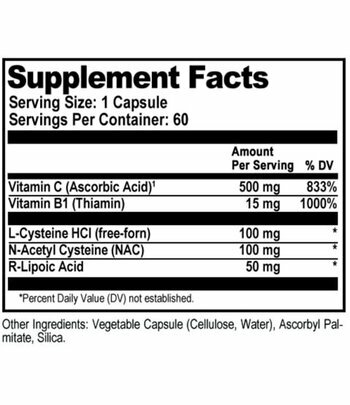 Together, L-Cysteine and N-Acetyl Cysteine ensure optimal absorption and effectiveness. Vitamin B1 is an essential vitamin vital to cellular energy production. R-Lipoic Acid is the fatty acid that exists in the mitochondria. 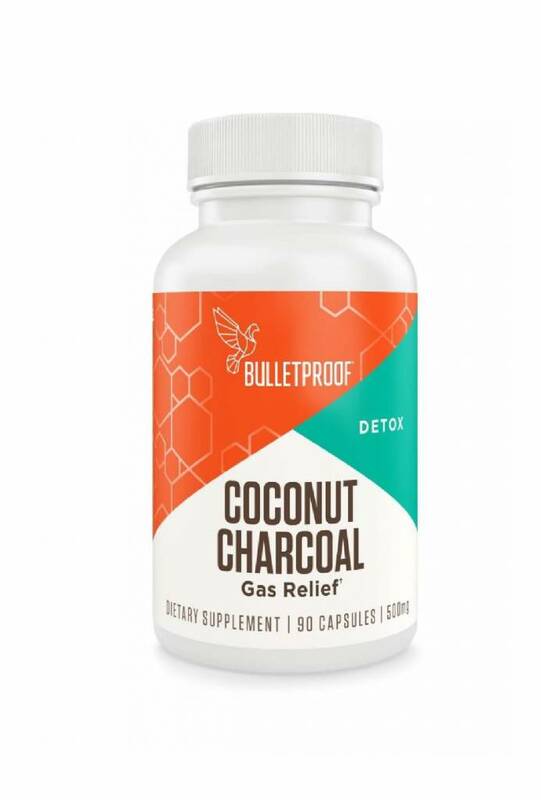 Suggested use: Take one capsule before each serving of alcohol, when exposed to environmental toxins, or as directed by your healthcare practitioner. Other ingredients: Vegetable capsule (Cellulose, Water), Ascorbyl Palmitate, Silica. Ingredients Naturally Free of Gluten, Dairy, Soy. U.S.A manufactured in a cGMP facility. Do not purchase if safety seal is broken or missing. 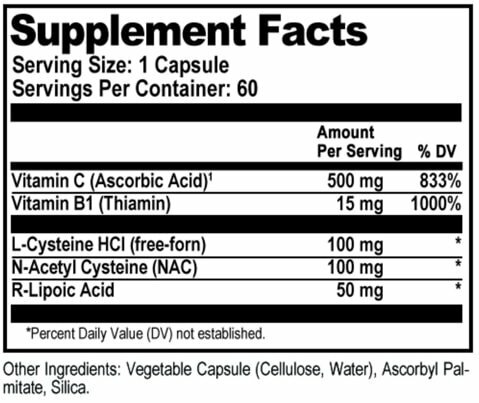 Consult a healthcare practitioner before taking this or any nutritional supplement. If you are pregnant/nursing, have or suspect a medical condition, are taking any medications or other non Natural Stacks dietary supplements.